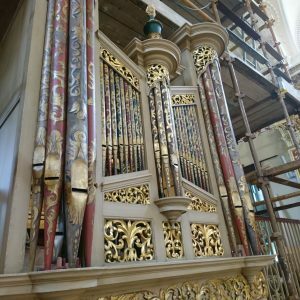 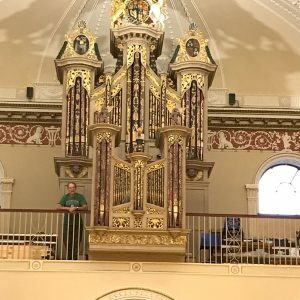 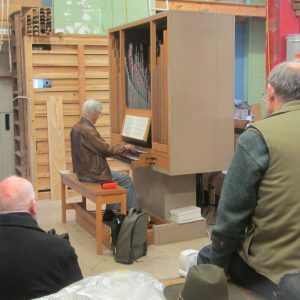 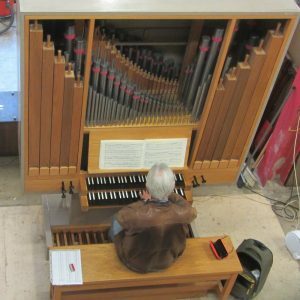 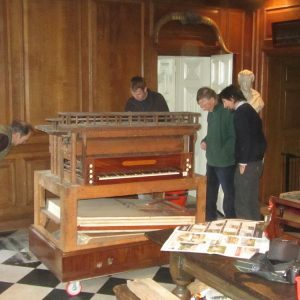 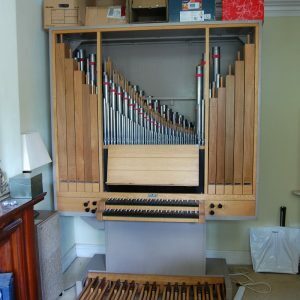 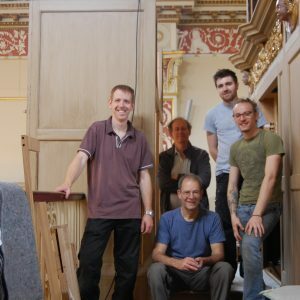 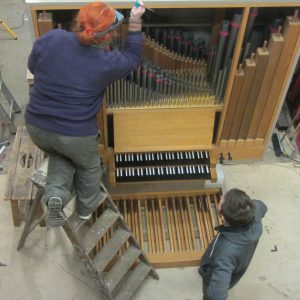 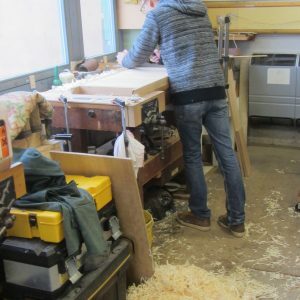 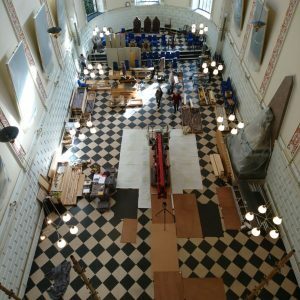 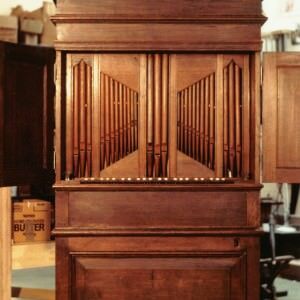 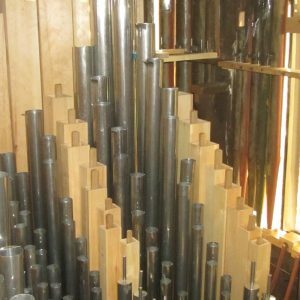 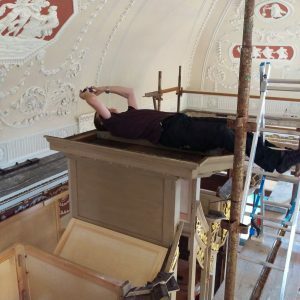 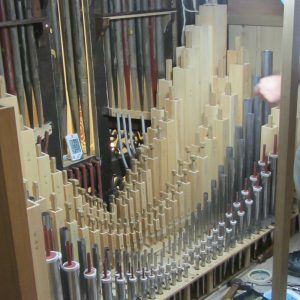 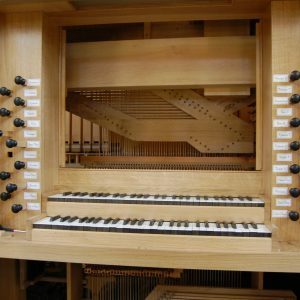 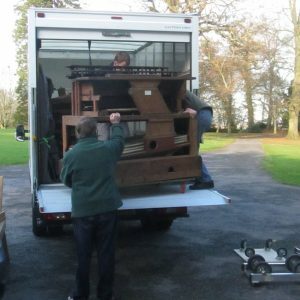 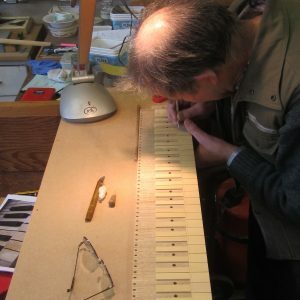 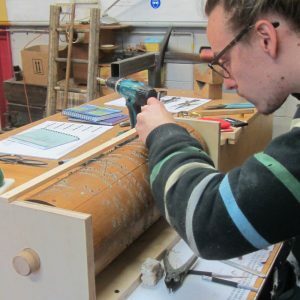 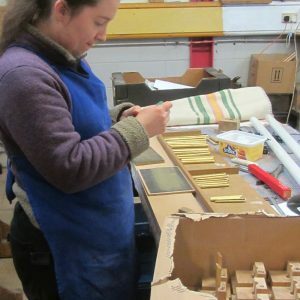 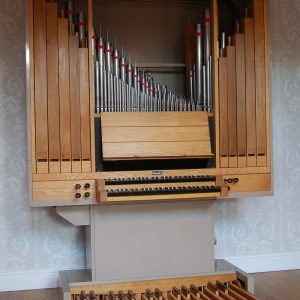 The report for the Trinity College organ project is now on the website in the project list https://www.goetzegwynn.co.uk/opus/. 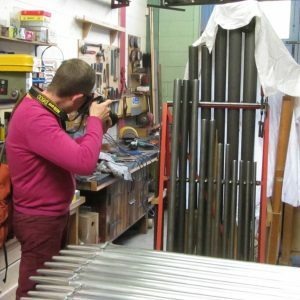 I have also added a link on Instagram @goetzeandgwynn. 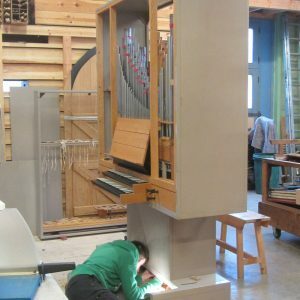 The St Teilo organ was played by Christian Wilson (http://www.christianwilson.co.uk/About.asp) for the recording of Byrd’s Great Service, with assistants to blow and prepare the music. 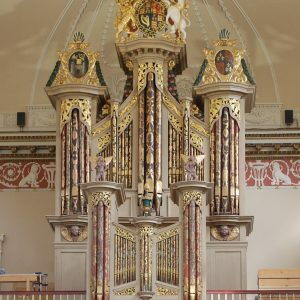 Christian also played the Wetheringsett organ when it appeared on BBC4’s ‘Elizabeth I’s Battle for God’s Music’ with Lucy Worsley last October. 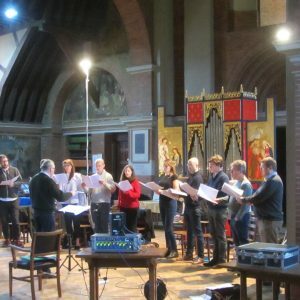 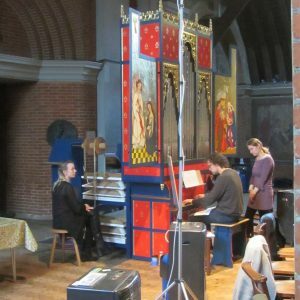 The St Teilo organ has been in St Jude’s Hampstead Garden Suburb for a recording of William Byrd’s Great Service, with Colm Carey directing the Odyssean Singers (http://www.odysseanensemble.com/about/) with a new performing edition by Byrd expert Andrew Johnstone (also on the staff at Trinity College Dublin). 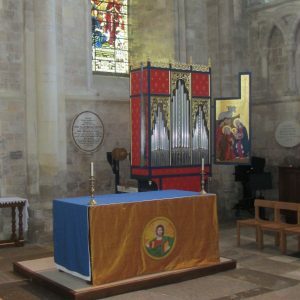 The St Teilo organ on its last day at Romsey Abbey. 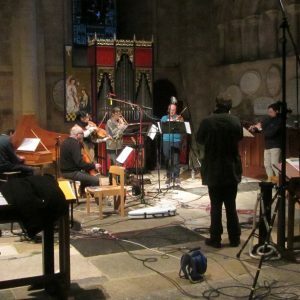 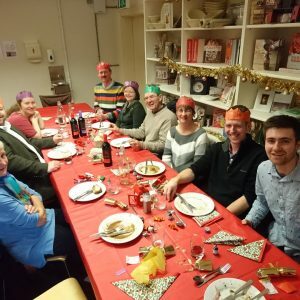 It has been there all year and has taken part in two CD recordings, one with Gawain Glenton and inEcho (http://delphianrecords.co.uk/product-group/music-in-a-cold-climate-sounds-of-hansa-europe/) and the other with the Abbey choir directed by George Richford (https://conviviumrecords.co.uk/releases/the-tudor-choir-book-volume-ii/). 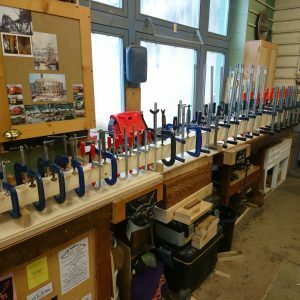 The D# 4m long trombone resonator glued up and held together with 60 clamps!! 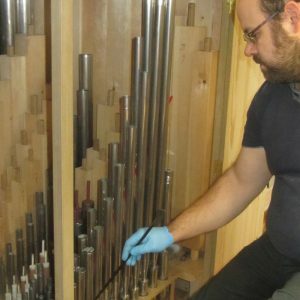 Tomorrows pipe is even longer….